Remember the very colorful fur scarf Fearne Cotton wore to the Glastonbury Festival last month? Turns out, the radio presenter is quite fond of the piece, and even decided to take it out for another spin while off to Radio 1 studios last week. This time, she wore the busy extra with a beaded grey sweater, a bright orange lace skirt, and a pair of studded boots. It was the perfect example of bright-on-bright pairing, and while we found it a little over the top, Fearne managed to pull it off with no issues. 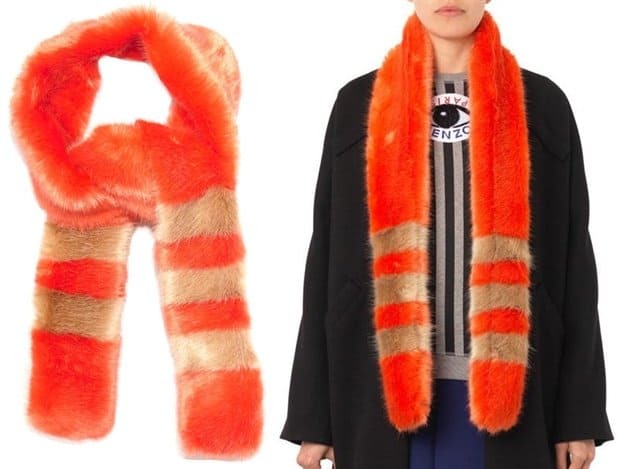 How do you like the way Fearne wore her bright multicolored fur scarf? Do you approve? She mixed romantic, retro, and edgy elements — which is a very unusual combination — to come up with a look that is very much her own. Can you appreciate? Do you think you can pull off her outfit? Fearne’s fur scarf is very unique. In fact, we could not find anything remotely similar to it online. 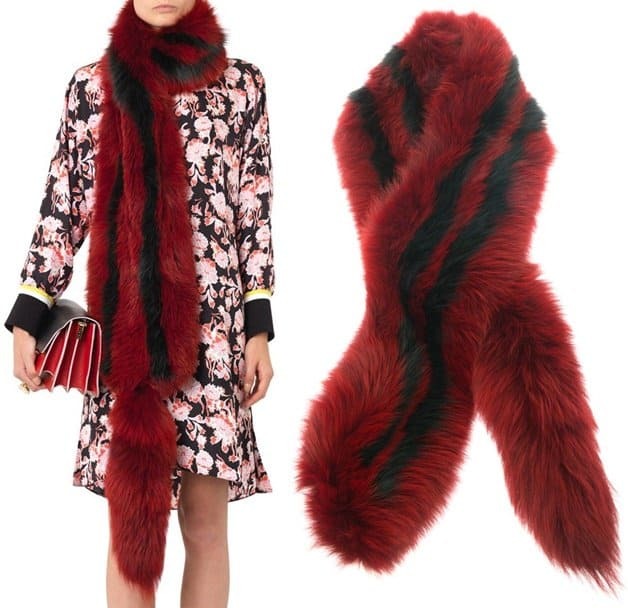 If you want to try the pairing she put together here, we found two furry scarves you can consider to pull off the look. Stick to a maximum of two bright colors and keep the rest of your outfit neutral — unless you’re as bold and daring as Fearne here. Once you have the scarf in order, simply wear it with another colorful item to create the striking combination. Go with solids instead of prints, and make sure you pick hues that complement.